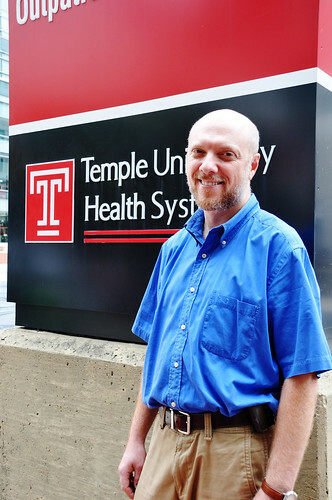 Most would assume being an assistant professor of medicine at the Temple Lung Center is a large responsibility. Wissam Chatila would have to agree, but that did not stop him from becoming manager of the year-old restaurant, Manakeesh Café Bakery, as well. The Lebanese restaurant located in West Philadelphia offers all the fine cuisine Lebanon has to offer. The Temple News talked with Chatila about Manakeesh and the effect it has on the community as well as himself. The Temple News: What made you want to open up your own bakery? Wissam Chatila: It was different factors. One of them was longing to the actual product, the Lebanese authentic product that consists mainly of the Manakeesh, in addition to particular desserts. Another one was community purposes because the cafe is located in a particular neighborhood and I’ve been part of that neighborhood for a long time. I thought this would have an impact on the livelihood of particular people and youth in that neighborhood. TTN: What, in your opinion, is the hardest part about owning Manakeesh? WC: Managing Manakeesh is hard. Not having the prior experience to manage cafés and restaurants has been most difficult for me. It was in the works for a while until someone came and encouraged me to proceed with it. TTN: What do you think makes Manakeesh stand out from the rest of the restaurants here in Philadelphia? WC: Well, it is authentic. It has a real taste of Lebanon more than in the actual food but in the environment as well. It’s a warm and welcoming environment that takes people back to downtown Beirut, Lebanon. It is also healthier than most restaurants. We don’t use preservatives, just different kinds of natural products. Even among the Lebanese restaurants, the menu differs because a lot of the equipment used is from Lebanon. TTN: How is it balancing the bakery as well as your job at Temple? WC: It is a difficult act to do but doable because I have a good team working with me. I do not bake so I have my own chef and other managers helping. Another huge help to me is my family. TTN: Since its opening in early 2011, what kind of response has Manakeesh gotten from the community? WC: From its opening in January, the community has loved the place. They were very appreciative because I took a delapidated building and renovated it while maintaining its historical characteristic. It introduced real culinary gems to the area without needing to go downtown. They can basically access it at very reasonable prices. Both the community as well as the kids in the University City love it. TTN: There is a growing Muslim population in West Philadelphia. Do you think Manakeesh plays a part in this? WC: Manakeesh is playing a role in exposing more to this community. It is a Halal, sort of like the kosher version for Muslims, restaurant so it most certainly attracts the Muslim community to come and eat in this restaurant. Not a lot of restaurants have the Halal type of products so Muslims who are more conservative, following their dietary requirements, only seek this type of restaurant. This is a market for them basically. TTN: What effect has this increase had on Manakeesh? WC: It affects more the diversity of the community and reflects that. Now you see Muslims from all walks of life, as well as Americans, coming into this nice environment sharing the seats. It is a close place where people can mingle. Here, they can recognize and appreciate the diversity that that community has. There are a lot of different ethnicities coming into Manakeesh ranging from Armenians, Iranians, Middle Eastern and Asians. You name it, we’ve seen it. TTN: Is there anything else you hope to accomplish within the community through Manakeesh? WC: We want to be able maintain ourselves and our high standards well. We are always hoping to grow. Siobhan Redding can be reached at siobhan.redding@temple.edu.